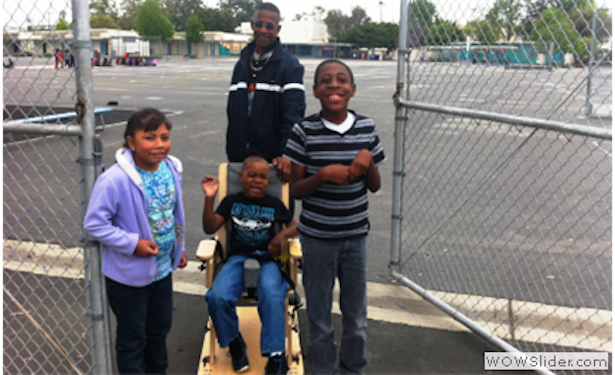 The latest annual report from a court-appointed monitor of LA Unified’s special education programs had praise for much of the district’s progress over the last year integrating its disabled students into general education classes. It also gave high marks for Superintendent Ramon Cortines‘ efforts to stabilize the troubled $133 million MiSiS computer system. However, the report was far from universally positive, as it found severe problems with the district’s failure to update it facilities in compliance with the Americans With Disabilities Act (See accompanying story) and in other areas in need of improvement. LA Unified has been under federal court oversight since 1996 as a result of a class action lawsuit that accused it of non-compliance with special education laws. As part of the settlement, an independent monitor was appointed in 2003 to oversee the district’s compliance with what is known as the Modified Consent Decree. MiSiS, the district’s student data system, was created to fulfill part of the decree, which called for better tracking of special education student records. With an original estimated cost of $25 million, it was launched at the beginning of last year with disastrous results. The glitchy system caused problems with student schedules and transcripts and an array of other headaches. The cost ballooned to $133 million, with funding secured through June. Former Superintendent John Deasy resigned under pressure in October of 2014, in part due to criticism for giving the green light to MiSiS. As his replacement, Cortines brought in a new team to oversee MiSiS and was able to get the system functioning over the course of last school year. This school year began with MiSiS working much better and no major problems have been reported. As a result, Cortines has issued a number of memos and statements applauding the work of MiSiS team. The independent monitor report, while praising the stabilization effort, points out that much still needs to be done to make MiSiS function as was intended. “Although the MiSiS system is stabilized, it is incomplete. Minimal progress has been made on the remaining (consent decree) requirements, with some previously developed functions requiring rework this year,” wrote the the Independent Monitor, David Rostetter. Rostetter also said that with Cortines stepping down by the end of the year and no MiSiS funds approved beyond June, the future of MiSiS is still in question. There is also the looming problem of having to get MiSiS operational in hundreds of the district’s charter schools, the report notes. Rostetter also had high marks for Sharyn Howell, the district’s associate superintendent of the Division of Special Education, with the district now meeting 17 out of 18 performance-based outcomes required in the consent decree. One of those outcomes calls on the district to increase the time disabled students spend in a general education setting and decrease the number of students attending classes at isolated special education centers. The district far exceed the goal set for the 2014-15 school year. Howell said she believes progress on integration will continue. “A lot of work has been done, not only in the last year, but in the last three years, as far as making it possible for any student with a disability to attend a general education site and to participate with non-disabled peers. So the work has really been going on for three years and it will continue,” she said. The report also found significant deficiencies in a hotline phone system set up two years ago for parents of special education students to make inquiries, log complaints or seek guidance. Among the many problems noted was a pre-recorded message about parent training sessions that included events from the 2012 school year. That message is still on the recorded line. Due to issues outside the purview of her department, like the lack of ADA facility compliance, Howell predicted the district still has several more years under the watch of the independent monitor. But with all but one of the performance-based outcomes met, she said the next year should see a lot more improvement.